Editor’s Note: A similar version of this post was originally published on Yvonne’s blog, Time to Consider the Lilies. It is Breast Cancer Awareness Month. President Obama proclaimed it so on October 1, 2012. 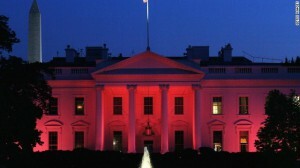 For added emphasis, the North Portico of the White House was illuminated pink for one evening. 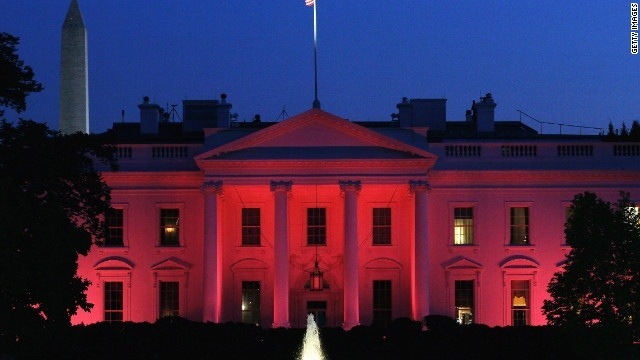 Basking in a ubiquitous pink glow, America’s most famous house reconfirms the power of the organization that bears the name of Nancy Brinker’s dead sister, Susan G. Komen, to deliver what Brinker once described as “conventional messages in unconventional ways in unexpected environments.” Given this logic, perhaps the presidential debate was “too conventional” a venue to raise the issue of women’s health. Incomprehensibly, it did not occur to Jim Lehrer, the veteran newsman who has moderated eleven nationally televised presidential debates, to ask a single question about breast cancer (or any cancer or any women’s health issue), and neither the incumbent President of the United States nor his Republican opponent broached the subject. There were opportunities, especially during lengthy and detailed exchanges about the deficit, the tax code, and healthcare, but not one of these men seized a prime-time opportunity to take a TV audience of over 67 million beyond “awareness” of a disease that, according to the American Cancer Society will kill approximately 40,000 women and 400 men in 2012. More troubling than any of this, however, is that if neither candidate is willing to get specific about breast cancer in the month before the general election – during the most “aware” month of the year – then what’s in store for us over the next four years? More awareness? More pink? The next debate, a town hall, is designed to allow audience members to question the candidates directly about domestic issues and foreign policy. Perhaps this format will bring some questions – and answers – about the health crisis that is breast cancer, for which the greatest risk factor is being a woman. Maybe the fact that a woman is moderating will jog the candidates’ memories. Unfortunately, award-winning CNN political correspondent, Candy Crowley, will not be positioned, as Lehrer, to fire tough questions from the moderator’s chair which she is well capable of doing; rather, she will ask follow-up questions. Of Jim Lehrer’s performance as moderator, she told Politico, that she was not really paying attention to him; instead, she was “writing down where I saw holes in their arguments thinking, ‘Oh, this would be a good follow up.” Well, Candy, I want to hear more about breast cancer and women’s health from these men who would be President. I hope you find a way to follow-up and facilitate a debate where flat-out lies are challenged and holes in arguments are filled with explanations. Now, I wish I could disappear for October. Even my state’s newspaper, The Arizona Republic, saw fit to perpetuate across six pages the myth that breast cancer is literally for the girls. Where else would we find pink feather boas and ribbons and tiaras than in a little girl’s fairy tale whose time has come and gone? If my breast cancer had a color, it would be white, the same white as the dense tissue that concealed it from three mammograms. The time has come for a little less pink and a little more black and white about tissue density or the men who get breast cancer, or the unacceptable numbers of people who still die from breast cancer that spreads to the bone, the liver, the brain, people like Susan G. Komen. Does your candidate think more mammograms are the only solutions to the breast cancer epidemic? Does your candidate believe that women can prevent breast cancer through healthy lifestyle choices? Does your candidate think access to healthcare fully solves the fact that women of color are more likely to die of breast cancer than white women? 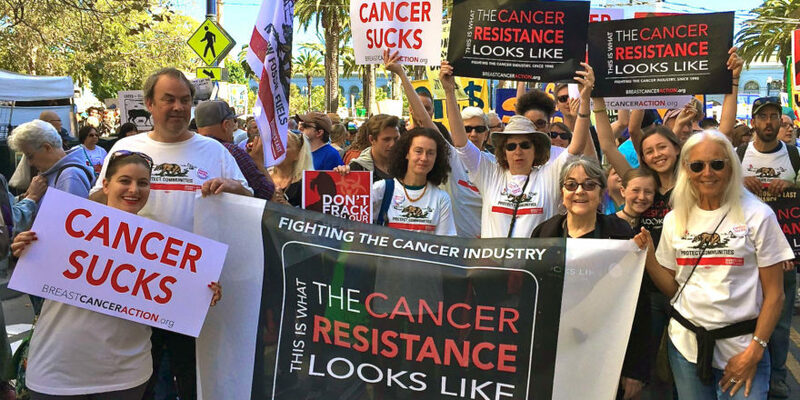 Is your candidate beholden to corporate donors whose practices or products are linked to an increased risk of developing breast cancer? Does your candidate engage in ‘political pinkwashing’ by promoting empty “feel good” activities that win votes and get media attention but do nothing to address and end the epidemic? Did you answer “yes” to any of the above? Are you less convinced now about your candidate’s willingness to act decisively and differently on the issue of breast cancer? There are things you can do to help. Think Before you Pink, and urge your representative to fully endorse the 2012 Breast Cancer Action Mandate for Government Action. ← Where Were Women in Last Night’s Presidential Debate?